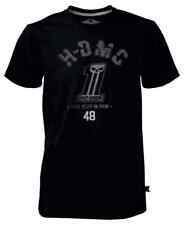 MEN'S - "HARLEY DAVIDSON"- GRAPHIC - T-SHIRT - Sz - X Large. Condition is Pre-owned. Shipped with USPS Parcel Select Ground. 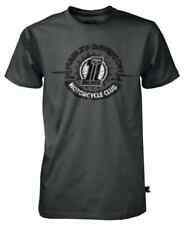 Harley Davidson Men's M T Shirt Gray Fear No One Las Vegas Double Sided . Condition is Pre-owned Does Have Some Wear Under The Arms As You Can See In The Pictures. Please Check All Photos To See Measurements. 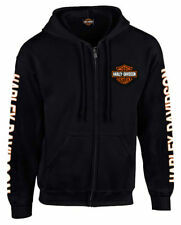 harley sweatshirt xxxl. Condition is Pre-owned. Shipped with USPS Priority Mail. Shirt Length (from back of neck to bottom): 28". 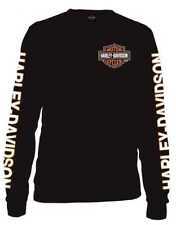 Harley-Davidson Hawaiian Men's L Button Short Sleeve shirt. DRY CLEANED. 'Excellent Used condition'. DRY CLEANED & READY TO WEAR! 'Good Used Condition' : The item is not new; it has a regular amount of wear from normal cleaning, and may have minor flaws that will be noted.